Ellen Samuel was born in 1926 in Paderborn, Germany. She recalls her first awareness of antisemitism in 1933, when she was in grade two. 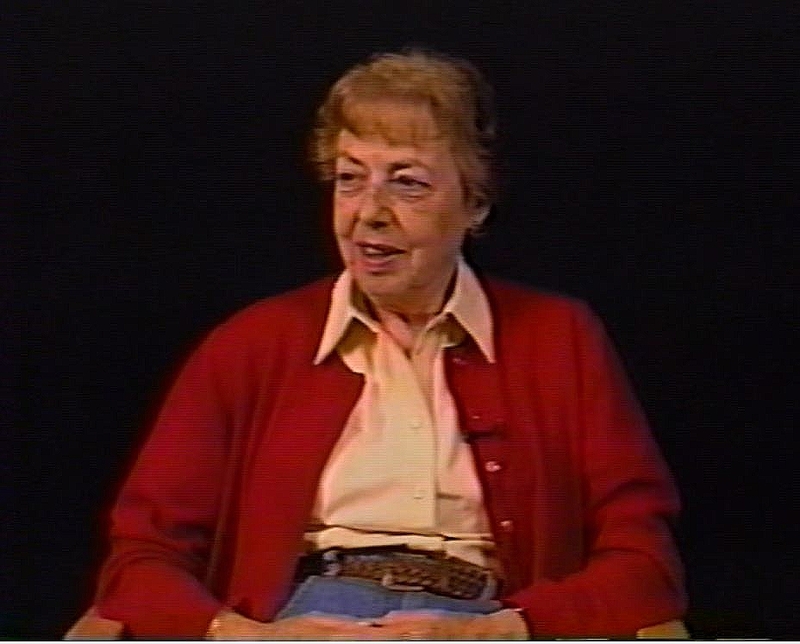 Following Kristallnacht in 1938, Ellen’s father was imprisoned in Buchenwald for two weeks, and when he was released, the parents decided that it was time to leave. They managed to have Ellen accepted to the Kindertransport. She arrived in England in February 1939, along with 600 other Jewish children. She was sent to London and started going to school. When the war broke out, she was evacuated to the countryside and lived with a family that was paid to take in city children. Ellen’s parents tried to escape to Central America, because her father had done business there as a grain merchant. But by the time they were ready to emigrate, there were no more ships for civilians. They managed, to reach England but were interned as enemy aliens (as Germans) on the Isle of Man in the spring of 1940. Ellen was sent to her parents in the internment camp in October and the family stayed there until May 1941. When their internment ended, they returned to London. Ellen’s father worked as an office manager, while Ellen and her mother did piece work during the week and Ellen attended school on the weekend. After the war, Ellen worked for export-import companies, using her language skills. In April 1951, Ellen came to Canada to help her aunt deal with her husband’s estate after his death. Ellen spent five years settling her uncle’s estate and ended up working in this line of business. She got married in 1955. Her father died the same year and her mother followed her to Montreal.